' Padawan Yoda - Sisters, What! For Halloween, our little Lukester was Yoda. And let me tell you, it was the easiest costume to prepare! The hat took a couple of days, but if I was to just sit and do it, it probably would have only taken me a few hours. I did the base of the hat using this pattern. But you could probably use any hat pattern. To make it not itchy and warmer, I sewed in fleece lining, that way he can wear it all winter. As for the ears, well...let just say I winged it and I'm not sure how I did it. The I simply used a towel for the robe part and just sewed it with arms and tied a tie around it. So as I said super easy. 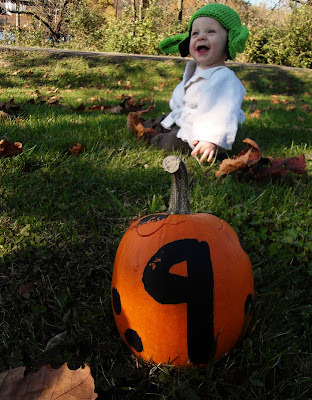 He also happen to be 9 months around Halloween so we had to take some 9 month pics with this cute little pumpkin. He is so cute..I am proud to say I am related! 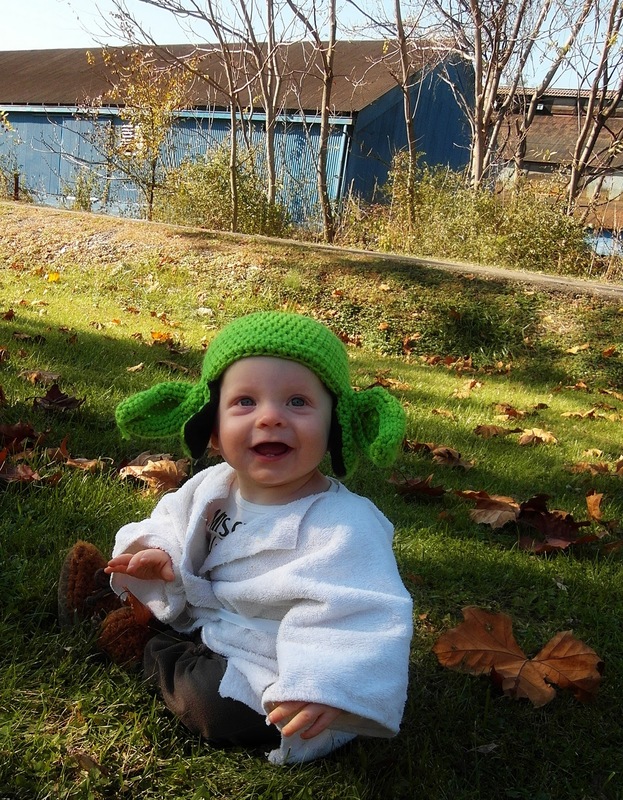 That Yoda hat is adorable!! I love. Aww This is so cute! I'd like to invite you to join my weekly link party to link up anything that you like. It's live until Saturday noon EST. Looks adorable! Love the pumpkin to say his age too!